Every other part of the trip was less simple. I-95 had bridge closures which added 3+ hours to the trip. This did, however, gives us a chance to pull over and check out the Santee state park in South Carolina, not too far off the highway. 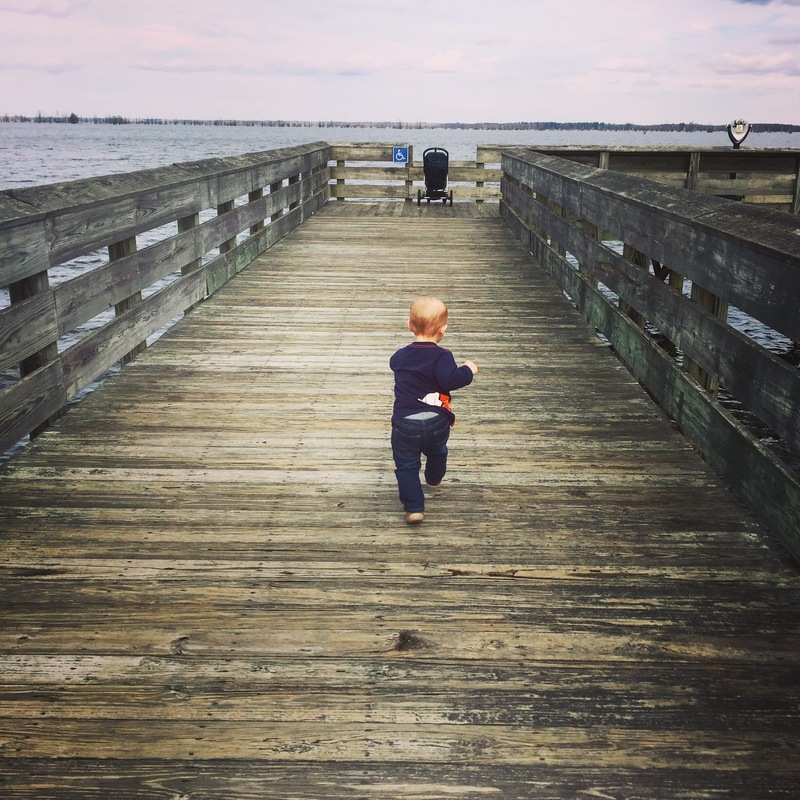 While it was still recovering from Hurricane Matthew, the docks and piers out onto the lake were open, and Kai took the opportunity to run up and down them happily. Getting outside when its just the two of us is pretty easy, I decide where we’re going, convince Kai to put on appropriate clothing and then we go. Getting outside with my mom, aunts, cousins and cousins’ kids was a different matter. I’ve never seen more people appalled than when I suggested taking all the little kids to a park, all because it was drizzling and in the low 50s. I did a little evangelizing on the “no bad weather, only bad clothing” concept, but found no converts. 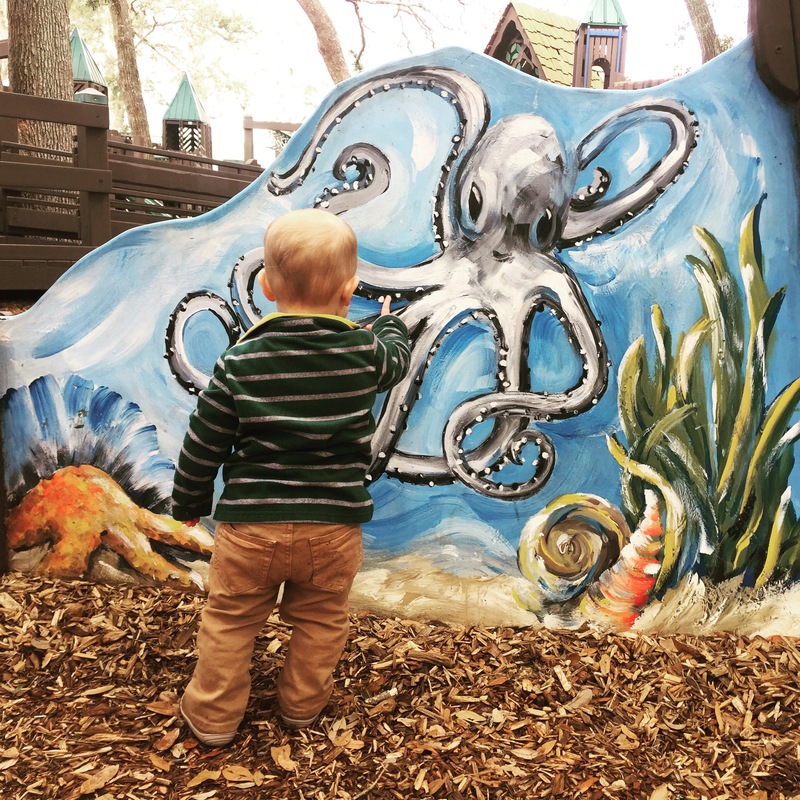 We did finally make it out and found a jewel of a playground. 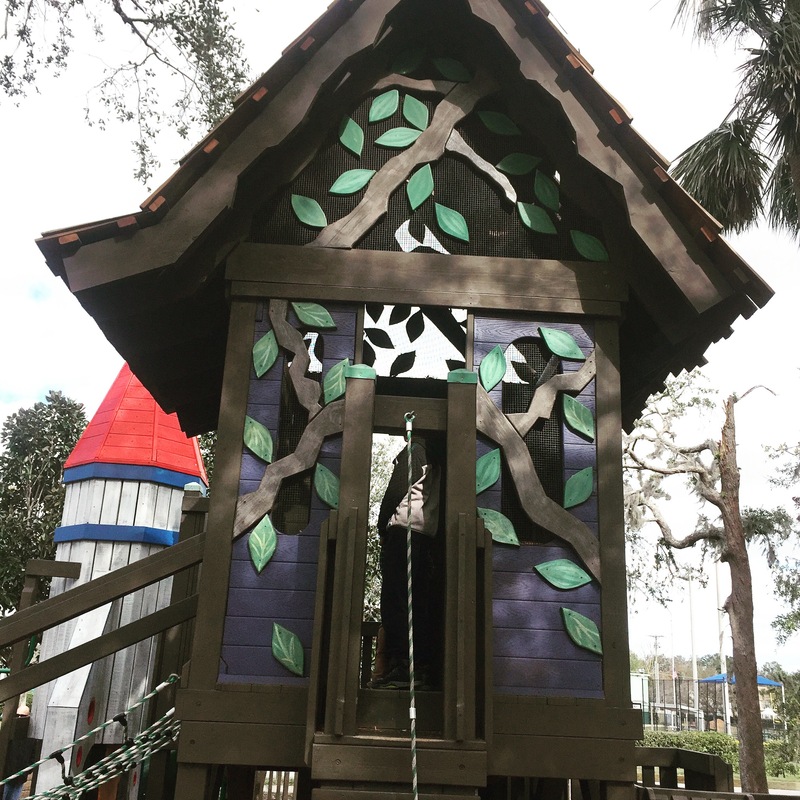 It was a wooden maze of a castle, with a rocket ship and a tree house, covered in murals and as much open space as equipment. We went back three days in a row, and I think if Kai could’ve figured out how to pack it into the back of the car, she would’ve taken it with us! We’re safely home now, and back on track. We’ve been outside 9/300 days, and have been to 3/17 parks. I think I might have severely underestimated the number of parks we will explore this year!